The Canadian Infant Hearing Task Force is a national group of leaders and experts in matters related to early hearing detection and intervention, formed to promote, support and advocate for comprehensive universal early hearing detection and intervention programs in all Canadian provinces and territories. The group is a joint effort of the Canadian Academy of Audiology and Speech-Language and Audiology Canada. 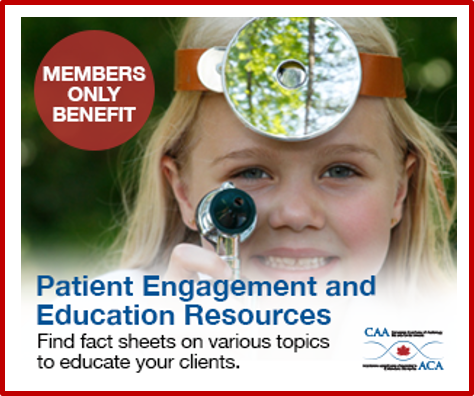 The CAA National Vestibular Special Interest Group was created in 2014. Our three main strategic goals are supporting Audiologists and supportive personnel who specialize in vestibular testing and rehabilitation, enhancing communication, and advocating on behalf of members. Currently we are involved in the development and maintenance of national standards for vestibular assessment and treatment in Canada. We use our Facebook page to create an on-going list of free resources including research, handouts, conferences, and podcasts to our members as well as to communicate with each other about vestibular issues. We also have a column called, “Striking the Right Balance” in the Canadian Audiologist with a focus on vestibular issues in Canada. If you would like to see a particular topic discussed or would like to contribute to the column please contact us. If you would like to be more involved, please like our Facebook page and sign up for the Vestibular Special Interest Group. To join, please email JanineAllison.Verge@nshealth.ca. • Update and share clinical experience. This information will initially be shared through online discussions and social media. Join our Facebook group CAA Tinnitus and Hyperacusis Special Interest Group, and LinkedIn group Tinnitus Care Providers (Canada). Please email tinnitus@canadianaudiology.ca to get involved! The Canadian Coalition for Adult Hearing Health has been formed as a joint effort of CAA and SAC to address the issue that many adults who could benefit from hearing health care are not pursuing or receiving sufficient services. The scope of interest goes beyond hearing aids to include, for example, preventative measures, communication strategies, hearing assistance technology, and others. 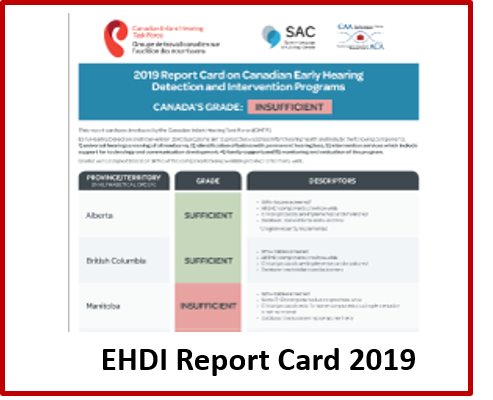 We recognize that there are many possible ways to encourage use of hearing health care services by adults in Canada, but we want to focus initially on the most urgent issues, with solutions that are most likely to have greatest impact. We will begin our work by interviewing experts (clinicians, researchers, and consumers) for their views regarding worthwhile starting initiatives. The Coalition includes researchers and clinicians from across Canada with a passion for addressing this important issue. As we gain a better understanding of our first initiatives, the Coalition will invite other individuals to the table as relevant. Stay tuned for further updates on this important work! To find out more, please contact the Chair of the coalition: ljenstad@audiospeech.ubc.ca.